In 2017, Puerto Rico based photographer Josh Rossi - along with his wife Roxana and costume designer Julie Whiteley - transformed a group of disabled and seriously ill children into the members of the Justice League. Josh's goal was to illustrate how each child's condition also made them strong and each of the six children who participated were selected because they shared characteristics with the particular superhero they depicted. "Justice League Kids" was released shortly before the Justice League movie hit theaters and the kids' sense of adventure and fun - not to mention courage in adversity - delighted and inspired people all over the world. Josh's follow up project, supported by Vero, is even more ambitious. To celebrate the release of The Avengers: Infinity War Josh and Roxana have united a group of kids to take a stand against bullying and bullies. After an exhaustive search, Josh and his team have found an amazing group of kids prepared to front up against bullies wherever they are. "Most have been bullied, some are the protectors of the bullied kids, and others are speaking up to stop this," says Josh. "They each have unique powers, each is different, and only by uniting can they unleash their superhero powers that will defeat the big bully, Thanos. With our help, they will inspire many in the world to be brave, to defend each other, to speak up, and make the world a better place." 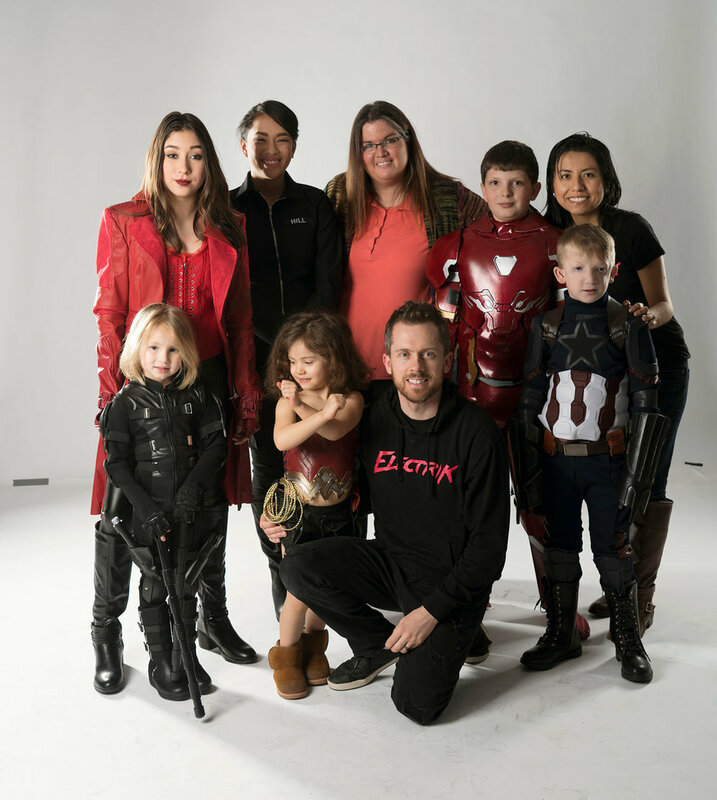 Meet the REAL Avengers below and head over to Josh's profile to learn more about how to support this fantastic initiative and to discover more of his incredible work.